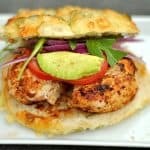 Grilled Cajun Chicken Sandwiches have a perfect blend of spices and are grilled to create a deliciously juicy and flavorful sandwich. We call these chicken burgers in our house, and they are always greeted with enthusiasm. Remember the time I told you how much I love burgers? Well this is just me giving you another variation of a burger recipe without using red meat. Maybe it’s just the bread and fix-ins that I love to transport to my mouth, and the meat is just the gateway? Who knows, but please try this one. I mix up a nice blend of spices here, and you can easily double it and store it in a jar for future use. In fact, the rub would be delicious on any chicken, vegetables, or fish. I also combine a bit of liquid smoke and lemon prior to rubbing the chicken. This adds more flavor, and also tenderizes the chicken a tad. 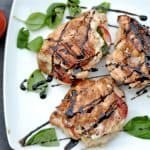 Once your chicken breasts are rubbed, they are ready for the grill. No need to marinate, although you could earlier in the day to save time. 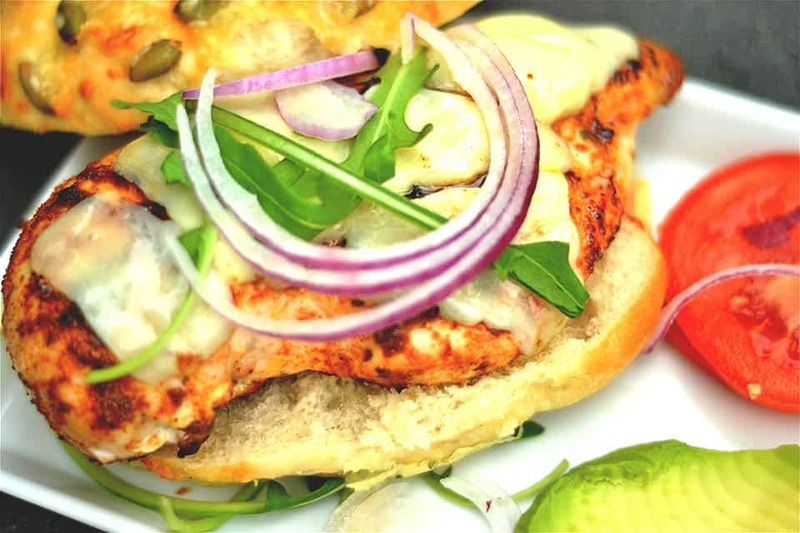 Add cheese, tomatoes, onion, avocado, BBQ sauce, lettuce, or whatever you love on your burgers! 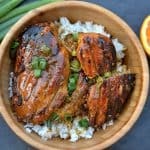 Serve with a delicious salad like my Grilled Sweet Potato Salad for a perfect meal that is sure to be a crowd pleaser! Begin by whisking together the dry rub: start from chili powder all the way down to the cayenne pepper. Set aside. 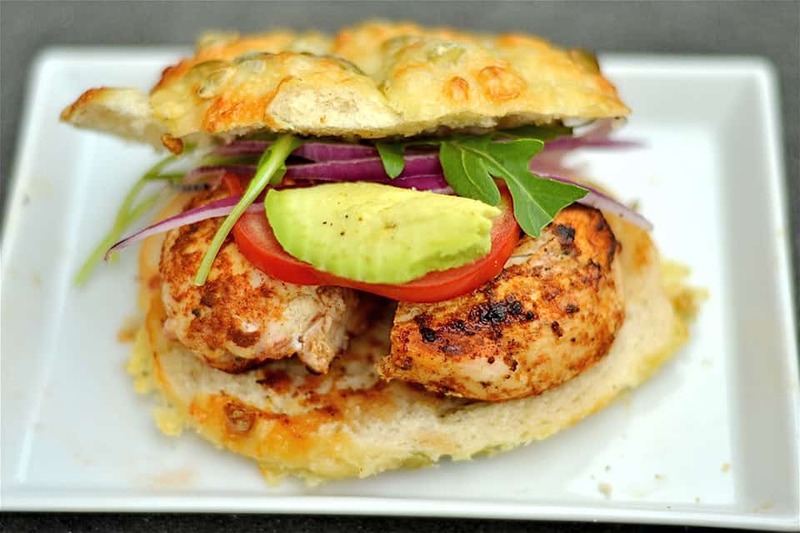 Prepare your chicken breasts: if your pieces are long, you may want to cut in half so that it fits on your bread. 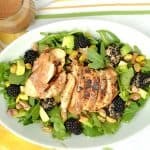 Mix together lemon and liquid smoke, and lightly brush all sides of the chicken. 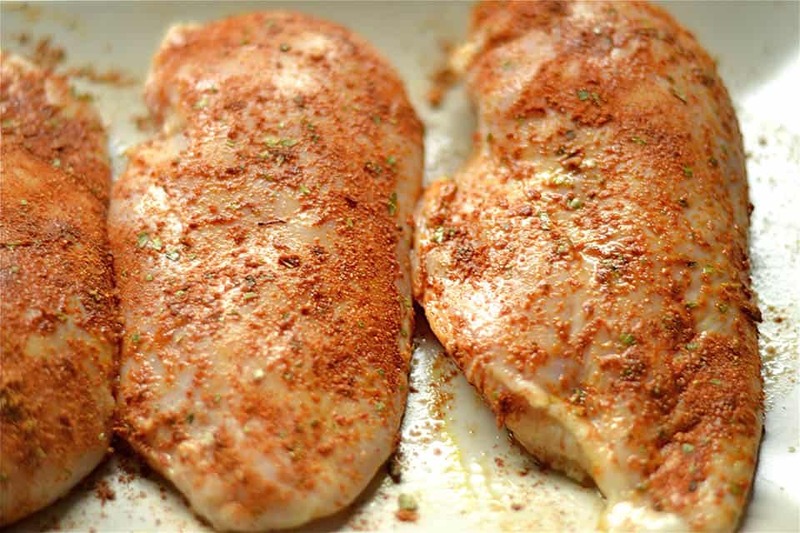 Rub each chicken breast with the spice mix generously and be sure to get all sides. You can do this hours ahead, or up to only 15 minutes prior to placing on the grill. Grill for approximately 8 minutes per side or until internal temperature reaches 160. Serve immediately on a toasted kaiser roll or bun with your favorite toppings.